Boy, do I need help with weeknight dinners! Part of my New Year's resolution was to cook every meal during the week (and weekends, too). That's a lot of pressure to put on yourself to come up with ideas. I find that the problem is not actually cooking during the week, it's deciding what to cook! Fortunately, Gooseberry Patch realized that their readers need help with this dilemma and have released a new cookbook, Weeknight Dinners, to help us out. This cookbook is unlike any other that I've seen from Gooseberry Patch in the arrangement of recipes into themes. It is divided into five chapters, one for each night of the week and each chapter has a theme. My kids and I made up some themes for our weekly dinners a while back and it does help in getting you in the mindset of what you're cooking that night. In Weeknight Dinners, you'll find recipes under the chapters, Meatless Monday, Tuesday is Tex-Mex Night, Wednesday is Italian Night, Comfort Food Thursday, and Just for Fun Friday. Each chapter is loaded with delicious recipes. If today was Monday, I would be preparing Cheddar Dill Bread or Japanese Onion Soup. Tuesday offers plenty of choices for those of you who are Mexican food lovers like me: Southwest Turkey Bake, Santa Fe Chicken and Potatoes or the South-of-the-Border Rice (recipe below). Wednesday's Italian theme sounds rich and heavenly - Leah's Italian Bread Pizza, Rustic Pasta Florentine, and Crustless Ricotta Cheesecake. January is the perfect time for Comfort Food Thursday with its Buttery Scalloped Potatoes and Biscuit-Top Chicken Pot Pie (recipe below). And, Fridays are the perfect time to bring out fun dishes such as Savory Chicken Bundles, Old-Time Coney Dogs, and Lori's Pizza Roni. I'm really looking forward to preparing more dishes out of this cookbook. The recipes are inspiring, yet simple. I'm sure you have enough ingredients in your pantry and freezer right now to prepare some of the recipes in this cookbook. And, when it comes to getting a meal on the table during a busy work week, isn't that half the battle? In a saucepan, heat oil over medium heat. Add rice; cook and stir until rice is lightly golden. Stir in remaining ingredients; reduce heat to low. Cover and cook for about 20 minutes, until rice is tender. Serves 4. Kim's Notes: I easily halved the recipe plus I added freshly chopped cilantro right before serving. Disclaimer: Gooseberry Patch provided me with review and giveaway copies; however, the opinion expressed here is my own. Now, here comes the fun part! 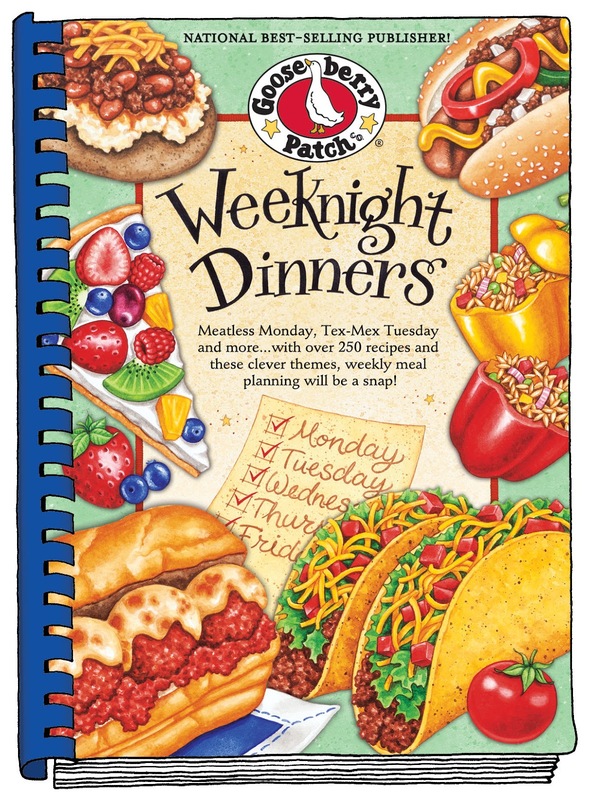 Would you like to win your very own copy of Weeknight Dinners? Here are the rules. The giveaway is open to my blog followers. You may follow me here through Google Friend Connect, Network Blogs, or on my Facebook page: www.facebook.com/wellseasonedlife. In the comment section below, let me know that you're interested in winning the cookbook and leave an e-mail address where I can reach you if you're the winner. And I would love to win the cookbook. I get so burnt out trying to come up with new meal ideas. Definitely follow you! One of my favorite foodies! Love your recipes and look forward to seeing more this year! Husband and I are always looking for new recipes to make (the secret to a 31 year marriage), and for new USEFUL (which I am sure is as yours always are) cookbooks to add to the collection! Both of these recipes would work for my family. Would enjoy a chance to win- thanks, Kim! I have the hardest time when it comes to menus for dinner. I feel this would help me with ideas. I'd love to win! I'm a FB fan. I follow via Google Friend Connect and Networked Blogs. Love your blog! I received a copy of Gooseberry Patch's Homemade Christmas this year, and it is now my absolute favorite book and I have fallen hopelessly in love with Gooseberry Patch books. I want them all! I would love to win and expand my collection! Thanks for the offer! I'm a follower here and on Facebook! This is one of my husbands and my problems...figuring out what to make...this looks just like what we need! Thanks for sharing this wonderful giveway! Love your site and love Gooseberry Patch. I follow your blog. These recipes look so good. Would love to have this cookbook. I have been a follower on facebook. We all get tired of the same 'ole thing for dinner every week. Since I've been following you I have tried alot of different recipes of yours (including desserts)for me and my family which we have enjoyed eating. I hope I am a winner to the Gooseberry Patch book. I think it would be a great addition for me and my family. Thanks! I am interested in the giveaway and I am a blog follower. I struggle with the weeknight cooking, but doesn't everyone?! I shall have to try out both of these recipes - they look delicious! :D Thank you for the entry! I follow you on GFC, Facebook, and networked blogs. Follow you on Facebook, Networked blogs and Friend connect. Love to win that recipe book! I am new here. Looking for ways to add more home cooked meals to our family's dinnertime. Would love to win a copy. Sounds like fun. I follow your blog through GFC, Facebook and Network blogs. I would love to win this because I love learning how to cook new things. We get tired of eating the same thing most nights. I am a new follower, but will be checking in often! Will try the biscuit-top chicken pot pie! Would love to win this cookbook! And can't wait to try the pot pie! I follow your blog & would love to win this book. I'm always looking for a new quick recipe to fix after work. My email is mccaffery@gionline.net. The Chicken Pot Pie recipe is a family favorite, my husband loves it! I use broccoli cheese soup and cream of potato soup, low fat or Healthy Request if possible to lower the fat content. I also add a can of diced potatoes. Yummy! As a retired house-husband, my husband does all the cooking and is always on the look out for new recipes. I would love to win a copy so he can try some great recipes! Thank you so much! Wow, a lot of people really want to win this book. Gooseberry Patch Cookbooks are awesome. I only have one, but love it! I'm always looking for week night recipes ... they would be great for potlucks too. Am following you on Google feed. Would love to have a copy of your cookbook...always trying to find easy tasteful recipes to share w/friends! Really glad I found your blog. Already spent some time reading past entries. I also enjoy Gooseberry Patch and would love to add a copy to my collection. Would love to win the Weeknight Dinners cookbook! Following you on Facebook. Would love to win. I don't have any of their Cookbooks but would LOVE to win one as their recipes look TERRIFIC! Would love to win this! Deff need help with weeknight dinners for my family! I would love to win this cookbook. My menus are so so blah. I end up coming up with last minute stuff that I've thrown together. I feel so sorry for hubby! Email is gram.me@live.com. Please pick me!! Would love to win this one too!! Love Gooseberry Patch! 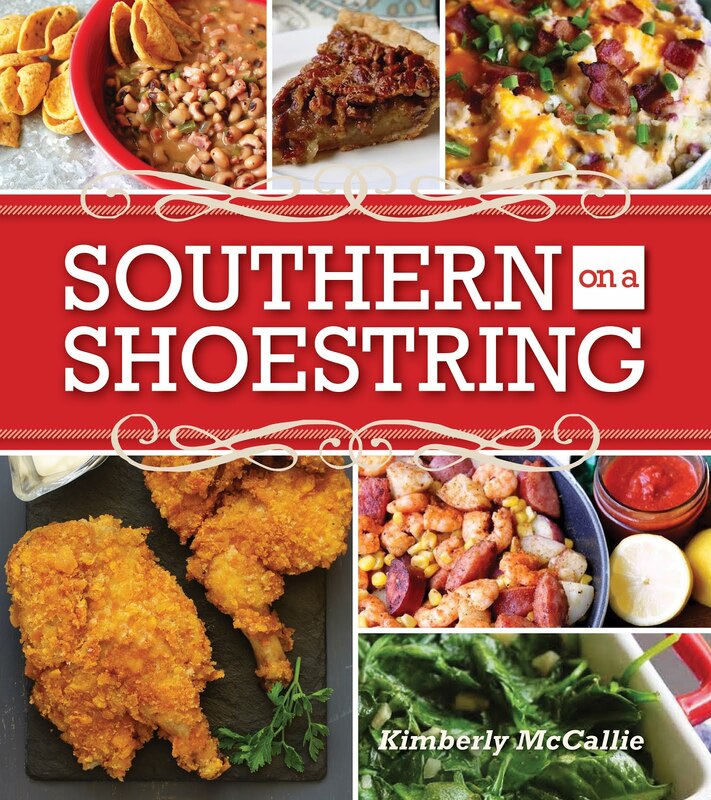 Follow as Renee G on gfc and would absolutely love to have this cookbook. This cookbook sounds GREAT! I love to cook but HATE deciding what to have all the time...Please enter me in you drawing for this book to help me out :) Thanks so much! Would love to add this cookbook to my collection!! I could use some new, fast ideas for dinner! Very interested in winning this cookbook! Love giving and receiving them for gifts! I love cookbooks and would love to add this to my collection. Please and Thank-you !! Have a great weekend ! rljncant@yahoo.com Would love to win the Weeknight Dinners cookbook! These cookbooks rock! I follow you on FB. Love your Southern comfort food recipes and Gooseberry Patch! I love gooseberry patch and would love to win the cookbook. I love your blog. Thanks a lot for a chance. Carla H.
patcoured@aol.com I'm a new follower of your blog on facebook. I love cookbooks and recipes. I collect cookbooks and need my husband to build more shelving for them. One of the biggest challenges I have is figuring out the weeknight meals and would love this cookbook. It would be a great addition to my collection and would also be well used!!! I follow you on facebook. Would love to win the cookbook to add it to my collection of Gooseberrry Patch Cookbooks. I enjoy all your recipes from Gooseberry Patch. I am a baker like new recipes to try . Keep up the good work. I'd love to win your awesome cookbook so I can spice the weekends up for me and my hubby!! 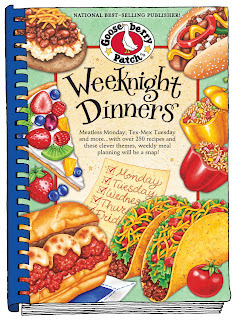 I love all the Patchwork cookbooks and would really like this week-night meals. I have a few and even on my kindle. So downhome. Gooseberry Patch cookbooks are my favorite. I have been collecting them for several years. I would love to win this book to add to my collection! I would love a book of "Week-Night" recipes! MY AID ONLY HAS 1 HOUR TO MAKE A MEAL THIS WOULD BE GREAT BECAUSE WE CAN PLAN AHEAD. Following you on facebook. :) Would love to win that cookbook! Kim,I would soooooo love to win this book. I would love to add it to my collection. I follow you on Facebook, and we are also friends on Facebook. I'd love to win this cookbook! I'm always looking for supper ideas. I would love to win this book to add to my Gooseberry collection. Would be thrilled to win this cookbook! Love all the yummy recipe posts on FB! Thank you so much for posting this review. I am also honored that you chose my recipe (although under my former married name) for my South of the Border Rice.